Is he the village Idiot or a genius in disguise? 17 year old Nói drifts through life on a remote fjord in the north of Iceland. In winter, the fjord is cut off from the outside world, surrounded by ominous mountains and buried under a shroud of snow. Nói dreams of escaping from this white-walled prison with Iris, a city girl who works in a local gas station. But his clumsy attempts at escape spiral out of control and end in complete failure. Only a natural disaster will shatter Noi's universe and offer him a window into a better world. 35mm film with English sub. - Betacam SP with English sub. Academy Awards - Award: Iceland´s Entry for Best Foreign language Film. Bruxelles European FF - Award: Nominated for Golden Iris. Transilvania Festival - Award: Transilvania Trophy. Edinburgh Int. Film Festival - Award: Won New Director's Award - Special Mention. Gijon Int. Film Festival - Award: Nominated for Grand Pirx Asturias for Best Feature. 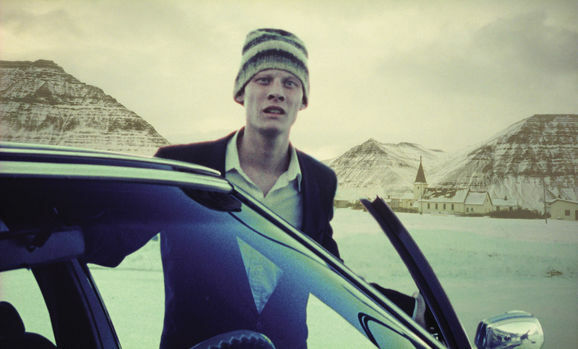 Amanda Awards - Award: Dagur Kári nominated for Best Nordic Newcomer. Edduverðlaunin / Edda Awards - Award: Feature Film of the Year. Director of the Year. 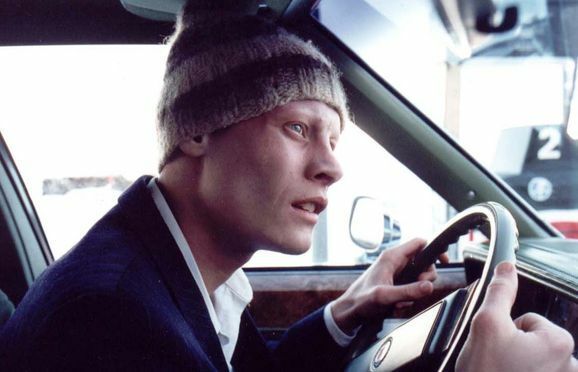 Actor of the Year in a Leading Role ( Tómas Lemarquis). 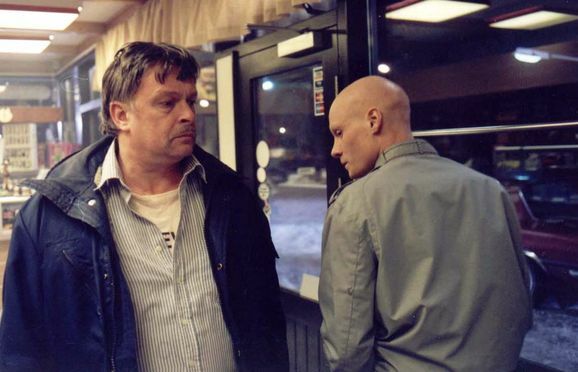 Actor of the Year in a Supporting Role (Throstur Leo Gunnarsson). Screenplay of the Year (Dagur Kári Pétursson). Set Design (Jón Steinar Ragnarsson). Nominated for Actor of the Year in a Supporting Role (Hjalti Rögnvaldsson & Thorsteinn Gunnarsson). Nominated for Actress of the Year in a Supporting Role (Anna Fridriksdóttir & Elín Hansdóttir). Nominated for Cinematography of the Year (Rasmus Videbæk). European Film Awards - Award: Nominated for European Film Award fór Best Actor. Nominated for Audience Awards for Best Actor. Nominated for Audience Awards for Best Director. Göteborg Film Festival - Award: FIPRESCI Prize. Nordic Film Prize. Rotterdam International Film Festival - Award: MovieZone Award. Nominated for the Tiger Award. Undine Awards - Award: Undine Award for best Young Actor.